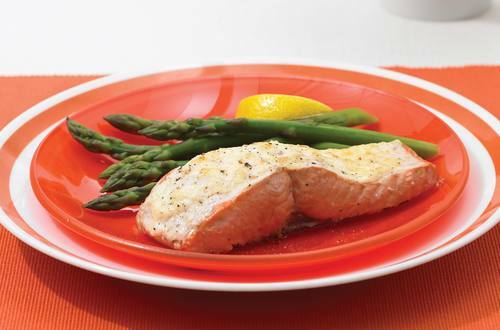 2 Brush salmon with Hellmann's® or Best Foods® Real Mayonnaise, then season with salt and pepper. Arrange salmon on baking pan. 3 Bake 10 minutes or until fish flakes with fork.